At the weekend I had the great pleasure of staying with Bethany from Arched Eyebrow and our mutual friend in Brighton. We decided to have a long weekend of doing ultimate fat babe things, like eating delicious things, getting our nails did, make jewellery, go roller derby, eat more delicious things, look at fat clothes, get drunk and eat more delicious things. I did not however bring my camera, so please excuse the mobile phone pictures. 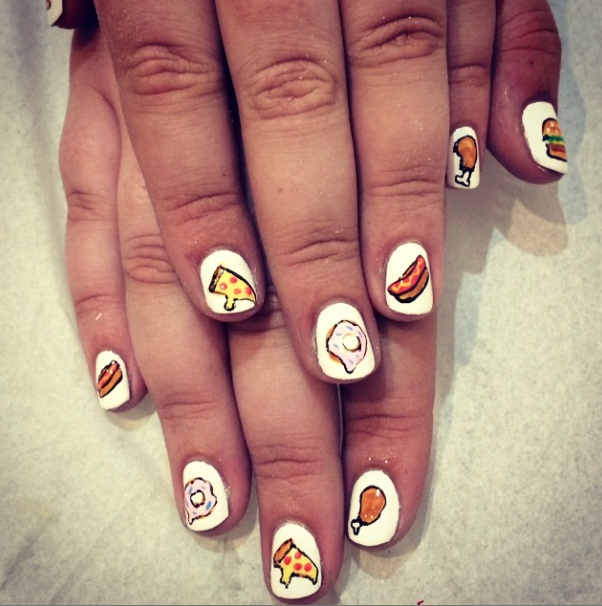 We all got our nails done at The Final Nail, I went for a fast food theme, burgers, chicken, pizza, hotdawgs and donuts and I am so in love with them, and Alex and Lilly, who are so friendly and funny I was creasing up the entire time we were there. Check out their instagram because Alex is seriously talented at nail art, and full set of nail art and manicure is really affordable. 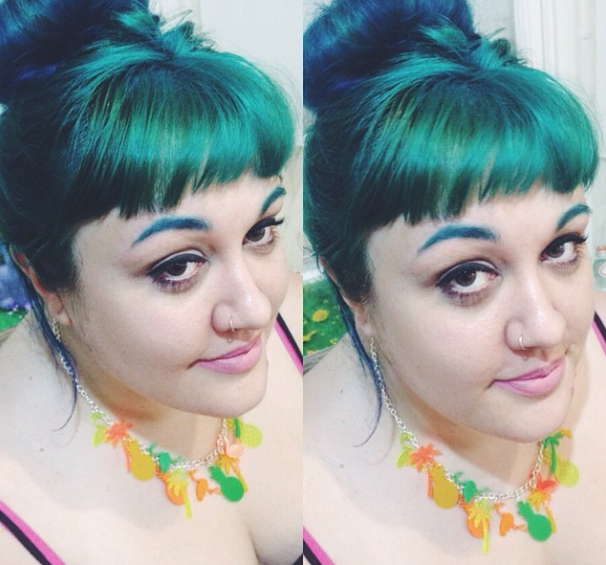 I was in two minds about having the other treatment available at The Final Nail; eyebrow tinting, fat babe peer pressure presided and Lilly bleached and matched my eyebrows to my hair. I think people are pretty undecided on them, I have had equal amounts of 'amazing' and 'oh they are very YOU Charlotte' which we all know means I don't like them but you crack on. After nails and eyebrows we had food from the Brighton street diner and I had a burger from the Trolls Pantry which was so good that I regretted not eating two, then we headed to see the Brighton Rockers Roller Derby. Having seen whip it (about a million times) I was able to understand what was going on, and it was just so refreshing to see women get aggressive in a sport and give no fucks what so ever. 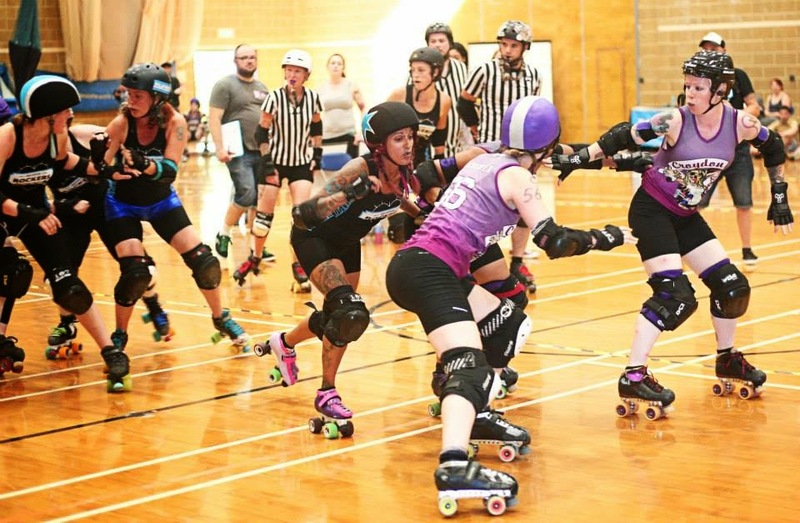 I am sure lot of people feel the same way when they watch roller derby but I really wanted to give it a go, aside from the fact I can't skate. I also used my time in Brighton to use my friends as guinea pigs for the Black Heart Creatives make your own jewellery workshop. As I am able to produce jewellery in a pretty rapid time, I wanted to test the waters a bit with other peoples ability, what kind of experience they expected at a workshop and if my new palm bling creation was easy to make and wearable. My fears about being over and done in twenty minutes were quashed pretty quickly(!) but didn't take so long that anyone got frustrated. Unexpectedly everyone made theirs slightly different (which you can see in the pictures) which I really liked, and made the jewellery more personal and unique. So as soon as I find a home to do my first workshop I shall be letting you know! I don't really have fat friends from outside the realms of the internet, and although Bethany is someone I met on the internet but see ~irl~ (she even came to my wedding, along with Charlotte from Bitchin Wardrobe and many others!) 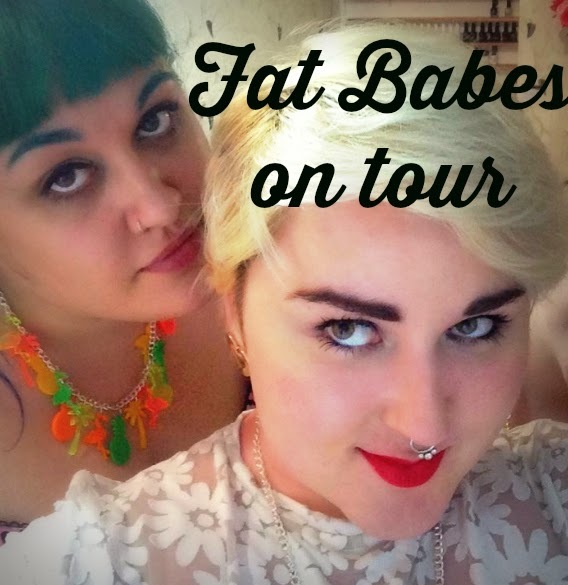 it was really refreshing and comfortable to be with other fat women, and talk about our experiences in relationships and navigating life as a fat person and how it has affected us. Also sitting round in our pants just being fat without fear of judgment was liberating. Fat friends for lyfe.